Las Vegas taxi driver Gerardo Gamboa thought someone left a bag of chocolates in the back seat of his vehicle, but the stash turned out to be $300,000 (NZD$367,000) in cold hard cash. Now, Gamboa is winning honors for honesty after turning in the money he found Monday. The money was returned to an unidentified poker player. 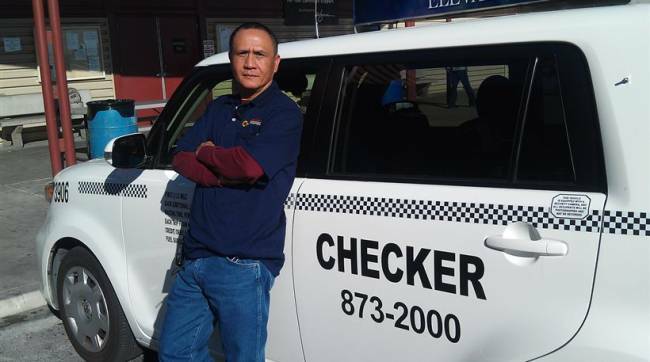 Yellow Checker Star Transportation named Gamboa its driver of the year and rewarded him with $1,000 and a dinner for two at a restaurant. A message left Wednesday for Gamboa at the cab company wasn’t immediately returned. Gamboa told the Las Vegas Review-Journal newspaper that he had another passenger by the time he began wondering what kind of chocolates were in the brown paper bag. He peeked inside at a traffic light. Gamboa took the six bundles of $100 bills to the company’s main office, where Las Vegas police and casino officials linked it to the poker player. Gamboa said the man gave him a $5 tip after a trip from the Cosmopolitan resort to the Palms Place tower, and Gamboa then drove to the Bellagio resort, where a doorman helping a passenger into the car noticed the bag. It took several hours to verify the identity of the owner and return the cash. He took Gamboa’s information, but didn’t immediately leave a reward.